Discover fresh innovation and style at Butte's Mile High Kia. Our Butte, MT Kia dealership features an extensive selection of stylish sedans, roomy hatchbacks, and fun-loving SUVs, with Kia incentives and new vehicle specials that help you save money. Check out new Kia models including the economical Kia Forte, sporty Kia Rio, and the sleek Kia Stinger. The handsome Kia Sorento is strong on comfort, while the Kia Sportage is a compact crossover that handles the curves. Stop by our Butte, MT auto dealership today and take a test drive with one of our friendly auto sales team members to find the right Kia model for you! Satellite Radio, iPod/MP3 Input. FUEL EFFICIENT 37 MPG Hwy/28 MPG City! WHITE exterior and BLACK interior, LX trim. Warranty 10 yrs/100k Miles - Drivetrain Warranty; READ MORE! WHY BUY FROM US At Mile High Motors we strive to achieve one goal, 100% customer satisfaction. We accomplish this by providing quality motor vehicles at affordable prices while making sure our customers are never left unsatisfied. At Mile High Motors we have a great staff that will be able to assist you with all of your car buying needs, whether it is locating the right vehicle, obtaining financing, or anything in-between. KEY FEATURES INCLUDE Satellite Radio, iPod/MP3 Input. MP3 Player, Remote Trunk Release, Steering Wheel Controls, Child Safety Locks, Electronic Stability Control. Kia LX with WHITE exterior and BLACK interior features a 4 Cylinder Engine with 130 HP at 6300 RPM*. Horsepower calculations based on trim engine configuration. Fuel economy calculations based on original manufacturer data for trim engine configuration. Please confirm the accuracy of the included equipment by calling us prior to purchase. FUEL EFFICIENT 37 MPG Hwy/28 MPG City! Back-Up Camera, iPod/MP3 Input, Smart Device Integration, Onboard Communications System. S trim, BLACK exterior and BLACK interior. Warranty 10 yrs/100k Miles - Drivetrain Warranty; SEE MORE! WHO WE ARE At Mile High Motors we strive to achieve one goal, 100% customer satisfaction. We accomplish this by providing quality motor vehicles at affordable prices while making sure our customers are never left unsatisfied. At Mile High Motors we have a great staff that will be able to assist you with all of your car buying needs, whether it is locating the right vehicle, obtaining financing, or anything in-between. KEY FEATURES INCLUDE Back-Up Camera, iPod/MP3 Input, Onboard Communications System, Smart Device Integration MP3 Player, Remote Trunk Release, Keyless Entry, Child Safety Locks, Steering Wheel Controls. Kia S with BLACK exterior and BLACK interior features a 4 Cylinder Engine with 130 HP at 6300 RPM*. Horsepower calculations based on trim engine configuration. Fuel economy calculations based on original manufacturer data for trim engine configuration. Please confirm the accuracy of the included equipment by calling us prior to purchase. EPA 31 MPG Hwy/26 MPG City! DARK GRAY exterior and BLACK interior, Base trim. Bluetooth, Alloy Wheels, Back-Up Camera, iPod/MP3 Input, Satellite Radio. Warranty 10 yrs/100k Miles - Drivetrain Warranty; AND MORE! WHY BUY FROM US At Mile High Motors we strive to achieve one goal, 100% customer satisfaction. We accomplish this by providing quality motor vehicles at affordable prices while making sure our customers are never left unsatisfied. At Mile High Motors we have a great staff that will be able to assist you with all of your car buying needs, whether it is locating the right vehicle, obtaining financing, or anything in-between. KEY FEATURES INCLUDE Back-Up Camera, Satellite Radio, iPod/MP3 Input, Bluetooth, Aluminum Wheels. MP3 Player, Privacy Glass, Keyless Entry, Steering Wheel Controls, Child Safety Locks. Kia Base with DARK GRAY exterior and BLACK interior features a 4 Cylinder Engine with 130 HP at 6300 RPM*. Horsepower calculations based on trim engine configuration. Fuel economy calculations based on original manufacturer data for trim engine configuration. Please confirm the accuracy of the included equipment by calling us prior to purchase. EX trim, RED exterior and BLACK interior. EPA 37 MPG Hwy/28 MPG City! Alloy Wheels, Satellite Radio, iPod/MP3 Input, Bluetooth, Back-Up Camera. Warranty 10 yrs/100k Miles - Drivetrain Warranty; AND MORE! BUY FROM AN AWARD WINNING DEALER At Mile High Motors we strive to achieve one goal, 100% customer satisfaction. We accomplish this by providing quality motor vehicles at affordable prices while making sure our customers are never left unsatisfied. At Mile High Motors we have a great staff that will be able to assist you with all of your car buying needs, whether it is locating the right vehicle, obtaining financing, or anything in-between. KEY FEATURES INCLUDE Back-Up Camera, Satellite Radio, iPod/MP3 Input, Bluetooth, Aluminum Wheels. Rear Spoiler, MP3 Player, Remote Trunk Release, Keyless Entry, Child Safety Locks. Kia EX with RED exterior and BLACK interior features a 4 Cylinder Engine with 130 HP at 6300 RPM*. Horsepower calculations based on trim engine configuration. Fuel economy calculations based on original manufacturer data for trim engine configuration. Please confirm the accuracy of the included equipment by calling us prior to purchase. WHITE/RED exterior and BLACK interior, + trim. Onboard Communications System, DESIGNER COLLECTION PACKAGE, Back-Up Camera, iPod/MP3 Input, Satellite Radio. Warranty 10 yrs/100k Miles - Drivetrain Warranty; AND MORE! OUR OFFERINGS At Mile High Motors we strive to achieve one goal, 100% customer satisfaction. We accomplish this by providing quality motor vehicles at affordable prices while making sure our customers are never left unsatisfied. At Mile High Motors we have a great staff that will be able to assist you with all of your car buying needs, whether it is locating the right vehicle, obtaining financing, or anything in-between. KEY FEATURES INCLUDE Back-Up Camera, Satellite Radio, iPod/MP3 Input, Onboard Communications System MP3 Player, Privacy Glass, Keyless Entry, Child Safety Locks, Steering Wheel Controls. OPTION PACKAGES DESIGNER COLLECTION PACKAGE Wheels: 18 Black Spoke Alloy, Leather-Wrapped Steering Wheel & Shift Knob, Tires: P235/45R18. Kia + with WHITE/RED exterior and BLACK interior features a 4 Cylinder Engine with 161 HP at 6200 RPM*. Horsepower calculations based on trim engine configuration. Please confirm the accuracy of the included equipment by calling us prior to purchase. Onboard Communications System, DESIGNER COLLECTION PACKAGE, REAR SPOILER (SP), Back-Up Camera, iPod/MP3 Input, Satellite Radio. + trim, RED/BLACK exterior and BLACK interior. Warranty 10 yrs/100k Miles - Drivetrain Warranty; SEE MORE! OUR OFFERINGS At Mile High Motors we strive to achieve one goal, 100% customer satisfaction. We accomplish this by providing quality motor vehicles at affordable prices while making sure our customers are never left unsatisfied. At Mile High Motors we have a great staff that will be able to assist you with all of your car buying needs, whether it is locating the right vehicle, obtaining financing, or anything in-between. KEY FEATURES INCLUDE Back-Up Camera, Satellite Radio, iPod/MP3 Input, Onboard Communications System. MP3 Player, Keyless Entry, Privacy Glass, Child Safety Locks, Steering Wheel Controls. OPTION PACKAGES DESIGNER COLLECTION PACKAGE Wheels: 18 Black Spoke Alloy, Leather-Wrapped Steering Wheel & Shift Knob, Tires: P235/45R18, REAR SPOILER (SP). Kia + with RED/BLACK exterior and BLACK interior features a 4 Cylinder Engine with 161 HP at 6200 RPM*. Horsepower calculations based on trim engine configuration. Please confirm the accuracy of the included equipment by calling us prior to purchase. ORANGE exterior and BLACK interior, + trim. Onboard Communications System, DESIGNER COLLECTION PACKAGE, REAR SPOILER (SP), Back-Up Camera, iPod/MP3 Input, Satellite Radio. Warranty 10 yrs/100k Miles - Drivetrain Warranty; CLICK ME! BUY FROM AN AWARD WINNING DEALER At Mile High Motors we strive to achieve one goal, 100% customer satisfaction. We accomplish this by providing quality motor vehicles at affordable prices while making sure our customers are never left unsatisfied. At Mile High Motors we have a great staff that will be able to assist you with all of your car buying needs, whether it is locating the right vehicle, obtaining financing, or anything in-between. KEY FEATURES INCLUDE Back-Up Camera, Satellite Radio, iPod/MP3 Input, Onboard Communications System. MP3 Player, Keyless Entry, Privacy Glass, Child Safety Locks, Steering Wheel Controls. OPTION PACKAGES DESIGNER COLLECTION PACKAGE Wheels: 18 Black Spoke Alloy, Leather-Wrapped Steering Wheel & Shift Knob, Tires: P235/45R18, REAR SPOILER (SP). Kia + with ORANGE exterior and BLACK interior features a 4 Cylinder Engine with 161 HP at 6200 RPM*. Horsepower calculations based on trim engine configuration. Please confirm the accuracy of the included equipment by calling us prior to purchase. X-Line trim, WHITE exterior and BLACK interior. Blind Spot Monitor, Cross-Traffic Alert, Alloy Wheels, Back-Up Camera, iPod/MP3 Input, Smart Device Integration, Bluetooth. Warranty 10 yrs/100k Miles - Drivetrain Warranty; SEE MORE! MORE ABOUT US At Mile High Motors we strive to achieve one goal, 100% customer satisfaction. We accomplish this by providing quality motor vehicles at affordable prices while making sure our customers are never left unsatisfied. At Mile High Motors we have a great staff that will be able to assist you with all of your car buying needs, whether it is locating the right vehicle, obtaining financing, or anything in-between. KEY FEATURES INCLUDE Back-Up Camera, iPod/MP3 Input, Bluetooth, Aluminum Wheels, Smart Device Integration, Cross-Traffic Alert, Blind Spot Monitor. MP3 Player, Privacy Glass, Keyless Entry, Steering Wheel Controls, Child Safety Locks. Kia X-Line with WHITE exterior and BLACK interior features a 4 Cylinder Engine with 147 HP at 6200 RPM*. Horsepower calculations based on trim engine configuration. Please confirm the accuracy of the included equipment by calling us prior to purchase. NAV, AUDIO PACKAGE, SPECIAL EDITION RED ZONE PACKAGE. RED/BLACK exterior and BLACK interior, + trim. Warranty 10 yrs/100k Miles - Drivetrain Warranty; CLICK NOW! MORE ABOUT US At Mile High Motors we strive to achieve one goal, 100% customer satisfaction. We accomplish this by providing quality motor vehicles at affordable prices while making sure our customers are never left unsatisfied. At Mile High Motors we have a great staff that will be able to assist you with all of your car buying needs, whether it is locating the right vehicle, obtaining financing, or anything in-between. KEY FEATURES INCLUDE . Privacy Glass, Child Safety Locks, Electronic Stability Control, Heated Mirrors, Bucket Seats. OPTION PACKAGES SPECIAL EDITION RED ZONE PACKAGE Exterior Body Kit w/Accents, Red Accented Interior, Rear Spoiler, Red Stitching, Sport Pedals, Wheels: 18 Alloy, Tires: 18, Unique Grille, AUDIO PACKAGE Satin Chrome Interior Door Handles, 2 USB Center Console Chargers, Alarm w/Engine Immobilizer, Radio: harman/kardon AM/FM/MP3/SiriusXM Audio, center speaker, subwoofer and external amplifier, UVO eServices w/Premium Navigation, Android Auto and Apple CarPlay, 8.0 touch screen, rear-camera display, HD Radio, Voice Recognition (VR) technology, USB/auxiliary input jacks, Bluetooth wireless technology, steering-wheel-mounted audio controls and speaker lights, Piano Black Accents, center fascia panel, steering wheel bezel, shift knob cover, door armrest garnish and console upper cover, Leather-Wrapped Steering Wheel & Shift Knob, Leatherette Instrument Hood/Door Center/Armrests, Push Button Start w/Smart Key. Kia + with RED/BLACK exterior and BLACK interior features a 4 Cylinder Engine with 161 HP at 6200 RPM*. Horsepower calculations based on trim engine configuration. Please confirm the accuracy of the included equipment by calling us prior to purchase. Heated Seats, REMOTE START (KEY START), All Wheel Drive, Alloy Wheels, LX POPULAR PACKAGE, Back-Up Camera. LX trim, WHITE exterior and BLACK interior. EPA 25 MPG Hwy/21 MPG City! Warranty 10 yrs/100k Miles - Drivetrain Warranty; AND MORE! OUR OFFERINGS At Mile High Motors we strive to achieve one goal, 100% customer satisfaction. We accomplish this by providing quality motor vehicles at affordable prices while making sure our customers are never left unsatisfied. At Mile High Motors we have a great staff that will be able to assist you with all of your car buying needs, whether it is locating the right vehicle, obtaining financing, or anything in-between. KEY FEATURES INCLUDE All Wheel Drive, Back-Up Camera, Aluminum Wheels. Rear Spoiler, Keyless Entry, Privacy Glass, Steering Wheel Controls, Child Safety Locks. OPTION PACKAGES LX POPULAR PACKAGE Dual Zone Climate Control, auto defogger and air ionizer, 10-Way Power Adjustable Driver Seat, 2-way power lumbar support, Heated Outside Mirrors, Windshield Wiper De-Icer, Dual Illuminated Visor Vanity Mirrors, Heated Front Seats, UV-Reducing Solar Control Glass, Radio: AM/FM/SiriusXM, UVO eServices infotainment system, 7 touch-screen, Android Auto, Apple CarPlay, 6-speakers, 160-watts, Bluetooth phone and streaming audio and USB/auxiliary input jacks, Roof Rails, REMOTE START (KEY START). Kia LX with WHITE exterior and BLACK interior features a 4 Cylinder Engine with 181 HP at 6000 RPM*. Horsepower calculations based on trim engine configuration. Fuel economy calculations based on original manufacturer data for trim engine configuration. Please confirm the accuracy of the included equipment by calling us prior to purchase. 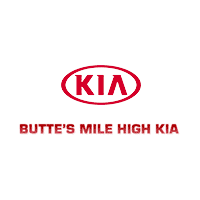 After you have found the Kia model to fit your lifestyle, keep it performing at its best with the help of Butte's Mile High Kia. Our Butte, di-state auto service center will help keep your Kia Soul EV in showroom shape for miles to come with routine oil changes, brake repair, extensive engine work, and other vehicle maintenance needs. Call us today to schedule your Kia model’s next auto service appointment and experience the premium difference at Butte's Mile High Kia. Our Butte, MT auto finance team is ready to match you with the Kia lease or car loan that works for you and your budget. Begin your car-buying experience from the comfort of your own home with our auto payment calculator and secure online auto finance application. After you have a rough estimate of your monthly car payment, value your trade-in to see how much cash you can get for your current vehicle from Butte. Then learn more about our wide selection of auto financing options by speaking with one of our friendly experts. Visit our Butte's Mile High Kia auto financing center today to learn more about how we can save you money!